Update 2: After a day on the links with Jack Nicklaus and Tiger Woods, President Trump has finally got back to his phone and tweeted a reaction to behavior of Democrat VA Governor Northam: "Democrat Governor Ralph Northam of Virginia just stated, 'I believe that I am not either of the people in that photo.' This was 24 hours after apologizing for appearing in the picture and after making the most horrible statement on “super” late term abortion. Unforgivable!" And before anyone starts rejecting his call of racism - remember, Northam admits to more than once wearing boot-polish on his face (for a Michael Jackson dance contest where he admitted he did not use much as it was hard to remove - confirming he had done it before) - something that if done by any Republican in America would have prompted screams of anguish and outrage in a deca-panel of CNN's "reporters." But Trump wasn't finished, taking a jab at Northam's opponent's 'Opposition Research Team' being sued for "Malpractice and Dereliction of Duty." Update 1: Following a press conference to address a racist picture in his medical school yearbook, Virginia Governor Ralph "Coonman" Northam has insisted that he is neither the person in blackface or the KKK robes, and has refused to step down. "That same year, I did participate in a dance contest ... in which I darkened my face as part of a Michael Jackson costume." Majority leader Pelosi has yet to call for Northam's resignation. Northam is reportedly suggesting that he'll use facial recognition software to prove it wasn't him in blackface. Even Nate Silver can predict that won't work. The embattled Governor still hasn't explained his nickname, "Coonman," however. 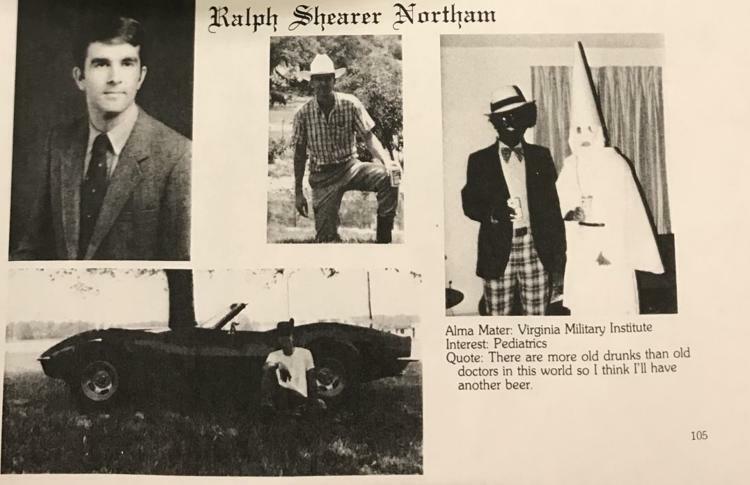 And while Northam may claim he wasn't in the picture, the Washington Post - quoting Joan Naidorf, whose husband's yearbook page sits opposite Northam's in the yearbook, claimed that Eastern Virginia Medical School allowed students to pick their own photos for their yearbook page. A flood of prominent Democrats have called for Northam's resignation over the picture, including former Virginia Democrat Governor Terry McAuliffe, the Virginia Legislative Black Caucus, Senators Elizabeth Warren, Cory Booker and Kamala Harris. Northam apologized in a Friday video, stating "I've made, nor can I undo the harm my behavior caused then and today. But I accept responsibility for my past actions, and I am ready to do the hard work to regain your trust." Meanwhile, top Republicans in the Virginia General Assembly are predictably calling for Northam's resignation as well.